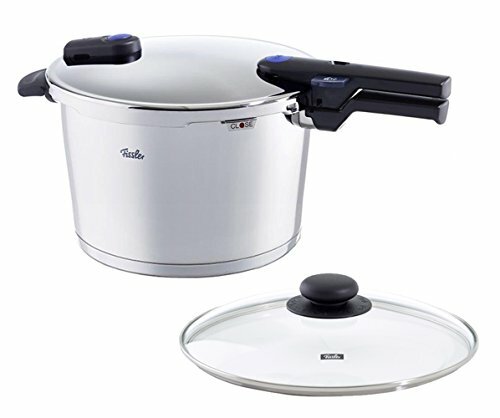 When cooking in a hard-anodized pressure cooker, the food is generally cooked at higher temperatures than the normal boiling temperature, which considerably reduces the cooking time. The boiling point increase is made possible by an increased pressure build-up in the pressure cooker. There are many units on the market today that are labeled hard-anodized and they have become extremely popular. There are countless online reviews of customers that are very happy with their hard anodized cooker. Below you can have a look at our top picks of the best hard anodized pressure cookers that offer top value for your buck. 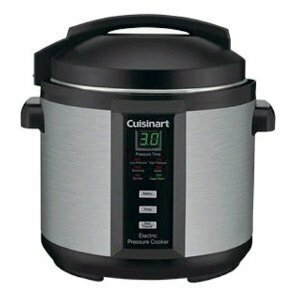 The Granite Ware 20-Quart Pressure Cooker is a durable cookware due to its hard-anodized and aluminum construction. On top of that, it’s equipped with a stay-cool handle that is secured with a locking stainless lid. Moreover, it can handle all your large capacity steaming requirements including pot roast, pulled pork, tamales, ribs, even seafood plus much more. Additionally, this model comes with a steamer trivet and canning jar rack that is easy to move around. Furthermore, the rack makes it easy to fit the jars up. The Granite Ware Pressure Canner is USDA approved because it can easily achieve the high temperature needed to safely process vegetables, and meat as well as poultry. On top of that, the food’s flavor and nutrients are preserved and even the toughest meat is tenderized in the least amount of time compared to other traditional means. Furthermore, you can’t open the cooker while it’s pressurized due to the pop-up pressure indicator that keeps the lid locked. Granite Ware provides an economical way to process food that can serve the whole family due to its large capacity. 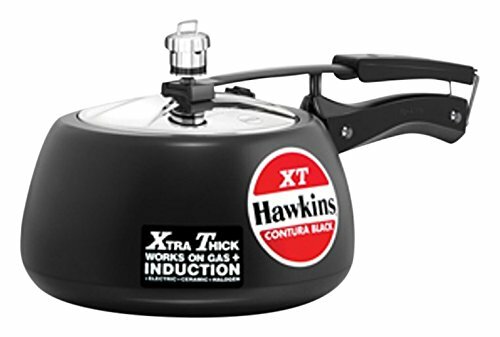 Hawkins users will love the model since it has the same feature as the Contura Black Pressure Cooker and it’s also induction compatible. 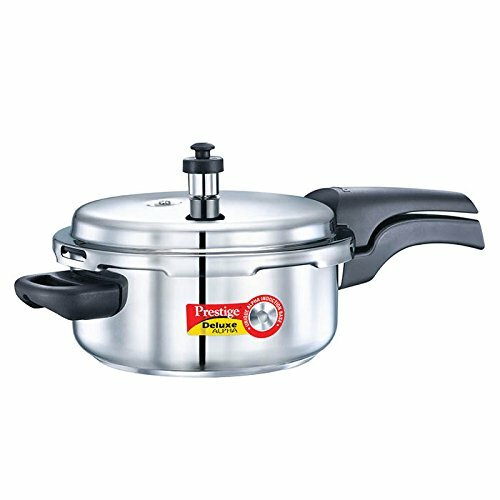 Furthermore, the pressure cooker comes with an AISI 430 magnetic stainless steel that is permanently attached to its base. Additionally, the 4.88 mm thick base allows the cooker to heat quickly although it can retain the heat inside the pot far longer than other pressure cookers. Moreover, the Hawkins XT Cooker is a versatile kitchen tool since it’s suitable for electric, ceramic, and domestic gas as well as halogen induction cooktops. The Hawkins Contura Hard Anodized XT Cooker is made safer due to its metallic rim installed at the cooker’s mouth and stainless steel lid. Moreover, it’s easy to stir and remove the food because of the body’s unique rounded side that provides better visibility. Despite the Contura’s .6 lb. weight, it can handle pressures of up to 15 psi and has a 5-liter capacity. The Hawkins XT continues to amaze users for its food capacity despite the deceptively small looking size. The Hawkins M47 Contura pressure cooker can accommodate an ample amount of food due to its 4-liter capacity. Additionally, this cooker will only take half the time to process food compared to a microwave oven which makes it handy when you are in a hurry. Moreover, the M47 Contura can save you around 50% in cooking fuel or energy cost although; the cooker can reach a 22% higher temperature above boiling water. This pressure cooker can handle even tough and cheaper meat cuts by quickly turning them into tender and succulent morsels. Moreover, the M47 is a versatile cooker since it’s suitable for cooking Korean barbecue and steaming vegetables. Additionally, new users can learn to use the M47 Contura in no time at all since it comes with complete instruction material and recipes as well. 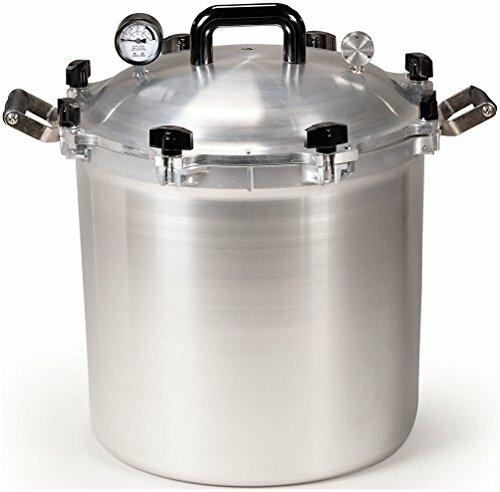 The Hawkins Futura is a 2.0-liter pressure cooker is small but equipped with safety features such as an automatic pressure regulator. Even though the Futura is made in India, it’s sturdy and safe to use in any heating system. The small but capable cooker can cut the processing time in half and can soften the toughest meat compared to other cooking means. Additionally, this Anodized cooker can save you money and fuel cost due to its quick cooking time. On top of that, its efficient heat dispersion quality is due to the permanently attached high-quality aluminum and stainless steel base. This 2-liter cooker is durable and does not rust due to its stainless handlebar and brackets. Additionally, the cooker’s beautiful black Anodized finish is at least 60 microns thick. 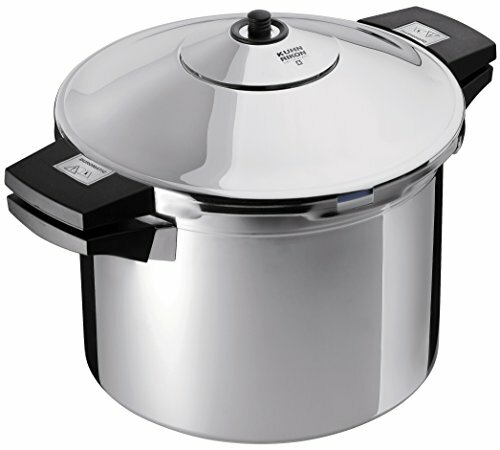 Furthermore, the hard-anodized material allows the pot look brand new even after a few years of continuous use. Moreover, the anodized finish is the one responsible for the fast heat absorption, making it energy-efficient as a result. Unfortunately, the Futura cooker is not dishwasher safe, since it may damage the rubber sealing ring and pressure regulator. 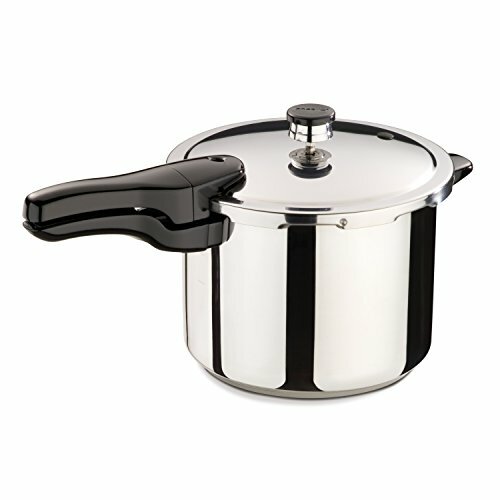 You will enjoy many fantastic benefits if you decide to invest in a hard-anodized pressure cooker. 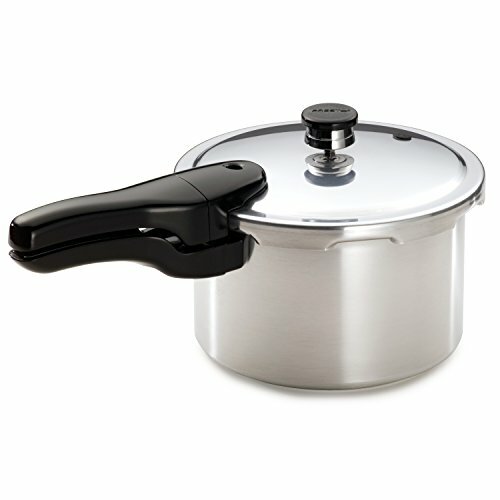 A hard-anodized pressure cooker can be used for fast cooking, even when you are away from home. For this purpose, there are so-called electric high-speed cookers, which have their own heating plate installed in the outer housing and can work without a stove. 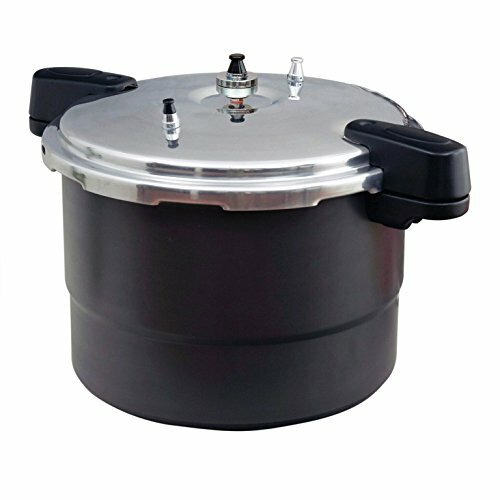 An electric hard-anodized pressure cooker is simply connected to an existing power source and is therefore immediately ready for use.A hard-anodized pressure cooker saves a lot of time and energy. 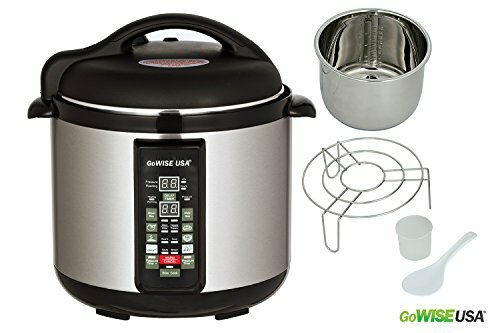 These types of pressure cookers are not only faster to cook a delicious meal but also offer great health benefits because all vitamins and important nutrients are preserved. There are some important tips that you need to consider before you purchase a hard anodized pressure cooker. Therefore, it is crucial that you ensure that you end up with a pressure cooker that meets the characteristics listed below. 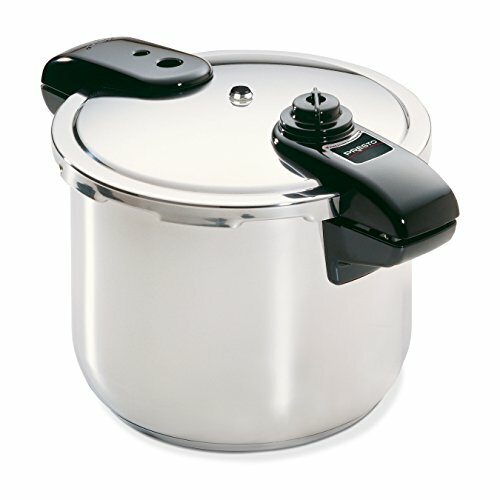 Nowadays, pressure cooker pots are available in many different sizes and shapes. The volume and size are usually labeled in “liters”. 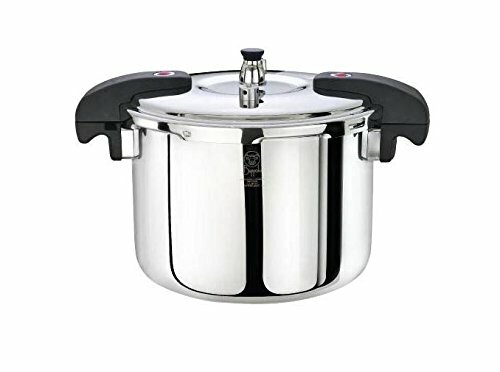 For example, there are many smaller pressure cookers with a maximum capacity of 2.5 liters, but also cookers with a capacity of 9 or even all the way up to 20 liters. It is important to note that when the food is cooking inside the pot, there should always be sufficient space in the pot to allow the steam to circulate properly. If the steam circulation in the pot is not ensured due to an excessively small size, the food will not be cooked properly. 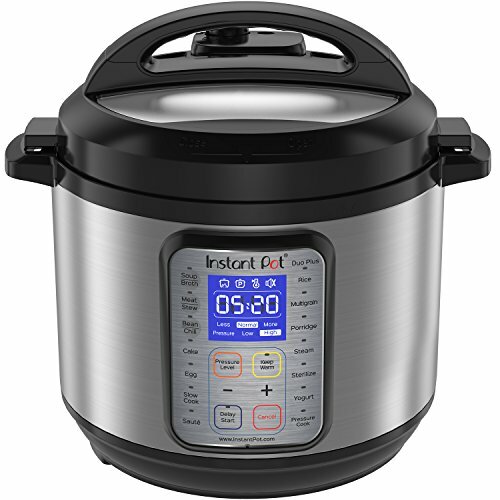 Since most high-speed pressure cookers are very innovative, especially the latest available models, you can expect your unit to work on all stove types. However, some older models are often not suitable for induction. Therefore, before you buy, you should look in the product description for the compatible stove types, such as gas, electric, halogen, glass ceramic or induction. Before you buy, you shouldmake sure whether spare parts are available for the desired hard-anodized pressure cooker. It is also important to clarify how often the pot is to be used. Therefore, you should carefully read the product description or the manufacturing guide before the purchase in order to find out how much spare parts of the selected brand are offered and available. The cleaning of a hard-anodized pressure cooker is very important factor to take into account when comes to selecting the best hard anodized pressure cooker. It is important to make sure if the pot can be cleaned with all the valves, the handle, rubber seals and all the individual parts that come with the cooker. It is recommended that you clean the complete unit thoroughly by hand. Most, if not all pressure cooker isdishwasher safe. Therefore, to save time and effort, check if the pressure cooker is suitable for your dishwasher. Another important factor to inspect is the material of the pressure cooker because it will affect the ability to clean. Today’s pressure cookers are high-speed cookers that are mainly made of aluminum and stainless steel that is extremely easy to clean. A pressure regulator can be found on most innovative pressure cookers. This regulator is used to set various cooking and pressure levels of the food.The higher the pressure, the faster the cooking process. However, some foods are boiled quickly if the pressure is too high, so it is recommended to adjust the settings during cooking with the pressure regulator. There are also pressure regulator settings which allow pressure-free steaming with the pot. That way, you can always access the meal to add spices for better taste, just like with a traditional cooking pot but have in mind that the cooking time is still much less than with the traditional cooking pot. In today’s world, nearly all of the fast cookers on the market are equipped with a pressure gauge. Therefore, since not all pressure cookers are included with a pressure indicator, you should always investigate properly if your desired unit features this indicator because it provides information about cooking time and pressure inside the pot. A pressure display is important andallows you to see, at any time, exactly how much pressure is in the pot and whether it is a normal measure. The pressure level is labeled in “bar” where overpressure in the pot is normally marked around 0.8 bar that corresponds to a pressure of 1.8 bar, which should be reached during cooking. 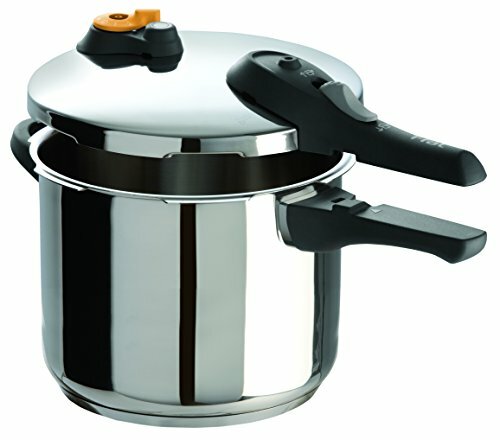 In principle, a hard-anodized pressure cooker consists of several components which are important for its function as well as safety. First of all, if your pressure cooker is going to perform effectively and deliver top-notch results, you must consider what kind of material it is made of. The pot itself should be made of stainless steel or aluminum for maximum cooking results. In addition, it is important that the sealing ring is made of sturdy rubber if you want your cooker to last for many years to come. Another important component is the valve that closes the pot. If you want to have a fast pressure cooker, you should pay attention that at least two settings are available. 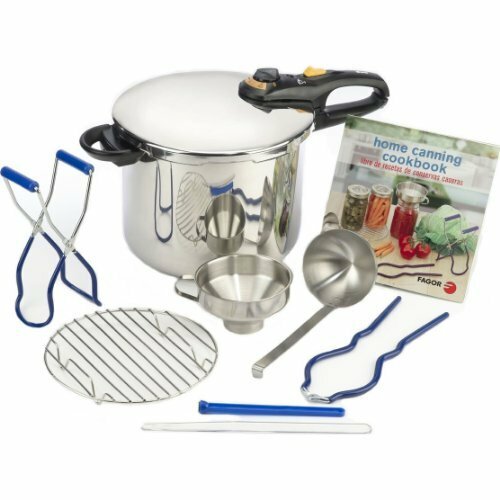 In conclusion, hard-anodized pressure cookers include many useful accessories that will ease-up the cooking process and make cooking so much more fun. As you can see from our selection above of the best hard anodized pressure cookers, they range in price as well as features. Therefore, it is crucial that you do your own research and investigate what pressure cooker suits your cooking needs and demands. 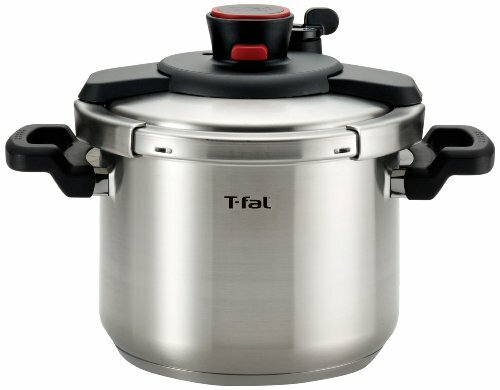 It goes without saying that quality comes with a price and therefore, a 10 dollar pressure cooker is not going to perform the same way as a 300 dollar unit. Having said that, set yourself a budget, stick to it and most of all, pick a unit that matches your cooking needs.